The Bearish Pin Bar candlestick pattern consists of an unusually large bullish candle body followed by a small bearish candle. The body of the second bearish candle is contained within the body of the first large bullish candlestick body, however the head of the second candle stick can be outside the body of the first. It is considered a bearish pattern when preceded by a upward trend or when the market is over bought or at a point of resistance. When a Bearish Pin Bar candlestick pattern is identified after a bullish move, it can signal a reversal in the price action. 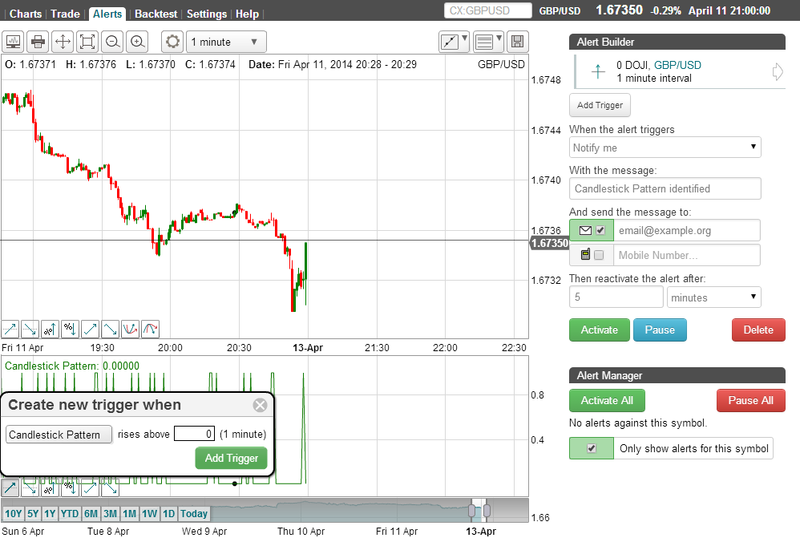 Learn more about the Bearish Pin Bar indicator. 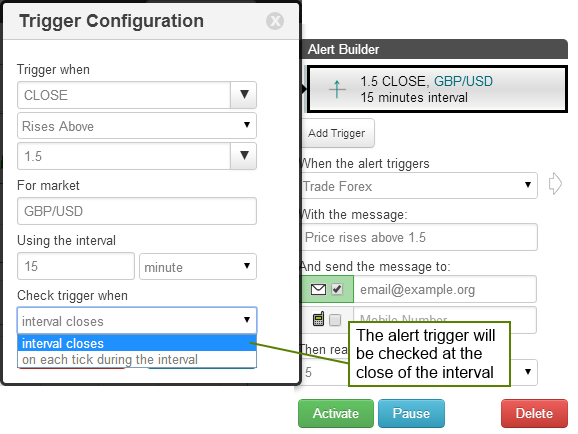 You can use TimeToTrade to execute trades, notify you or backtest trading strategies, for example when the Bearish Pin Bar has been identified. 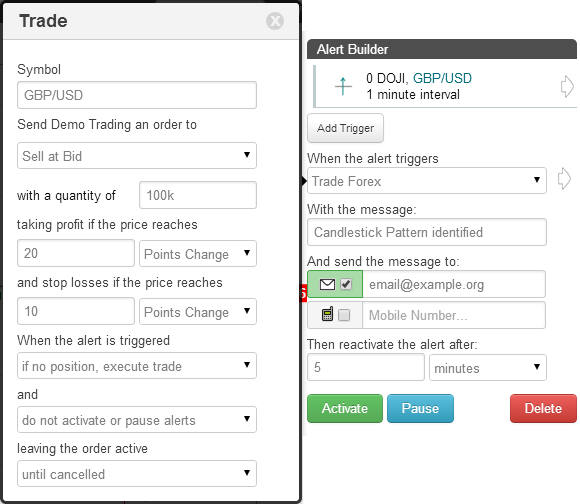 Use the chart settings to add the Bearish Pin Bar Candlestick indicator. 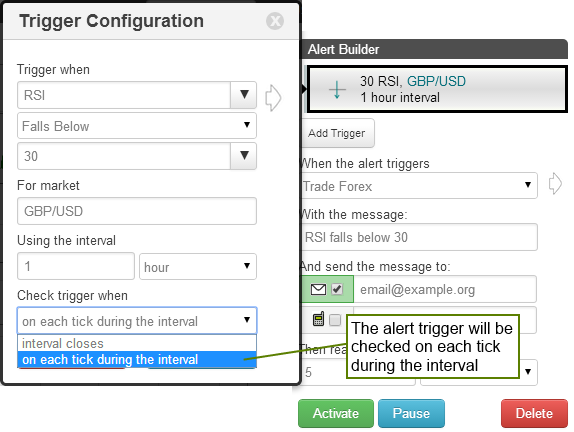 After adding the Bearish Pin Bar indicator to the charts, click on the rising threshold chart trigger to create your alert. 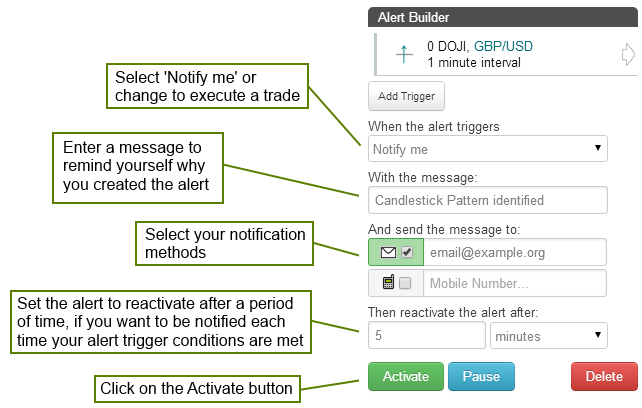 In the following example, an alert will be set up to provide a notification of when the Bearish Pin Bar rises above 0, therefore indicating that the Bearish Pin Bar has been identified.